The Mazda lineup is meant to stick out from the crowd, and the leadership at DePaula Mazda has made sure that our dealership does as well. In addition to our impressive inventory, you’ll find a variety of useful resources, both online and here at the dealership, to help you make the right decision and take advantage of everything we have to offer. Check out our payment calculator to help determine what your monthly payments will look like, and see some of our best deals with used cars priced under $10K. You can count on friendly, competent, and comprehensive service when you shop at our dealership—from shopping and financing to ownership and Mazda repairs. 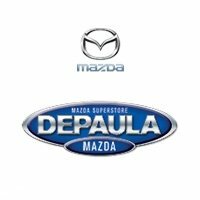 Take the drive from Saratoga or Schenectady to DePaula Mazda, located right off of I-90 in Albany, NY, just down the road from the Home Depot. We’re open Monday through Saturday, and you can reach us directly at (518) 205-8311.